The pilot ‘checkout lounge’ project brings together offenders and experts in a range of areas like housing, drug and alcohol support and employment a fortnight before they are released. Sessions take place weekly in an informal setting. So far the feedback has been extremely positive with many prisoners identifying that not only did they get support in the areas that they needed but that the pilot had actively increased their confidence that they would be able to stay out of prison in the future. On Thursday, October 18, officers from the Ministry of Justice and the Ministry of Housing, Communities and Local Government visited the prison to see the work in action. 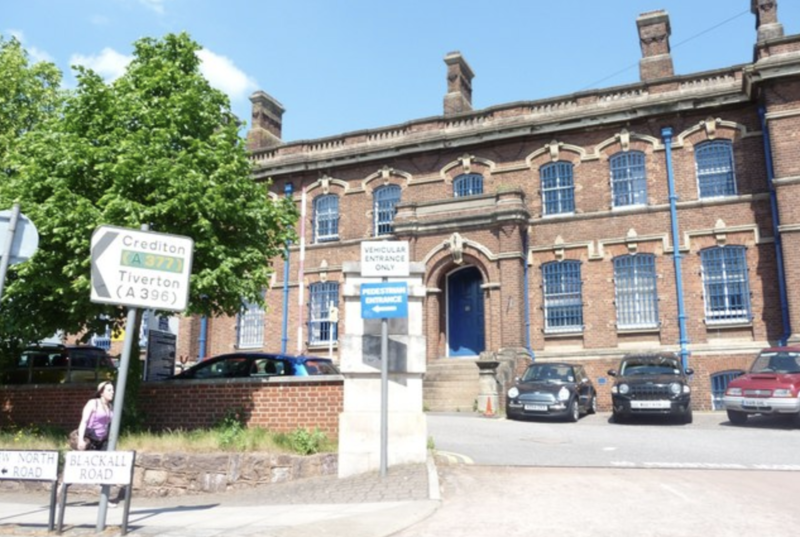 HMP Exeter has been made the subject of emergency action after an inspection in May. HM Inspectorate of Prisons found that levels of violence were unacceptable at the prison, which is overcrowded, with cells in a poor state and with widespread use of illicit drugs. Inspectors did recognise, however, that there had been improvements to resettlement programmes. Police commissioner Alison Hernandez said she was pleased to support the programme. Her office has funded a project co-ordinator employed through the EDP drugs and alcohol service for the pilot. “With the cost of incarcerating a single prisoner at Exeter running at almost £34,000 a year, as a community we all have a vested interest in keeping re-offending down,” she said. “There is plenty of evidence to show that we can reduce crime significantly by supporting offenders to get back on their feet so they can make a contribution to society. As most custodial sentences are given to those with previous convictions there is a huge opportunity to reduce demands on our emergency services and prisons if we can tackle this issue. The PCC’s office has been working with prison officials, probation, EDP and local authorities and housing partners to get the scheme up and running. The Voluntary Community and Social Enterprise sector have also provided crucial support. Running alongside and in support of this pilot are two other schemes, also supported by the Devon and Cornwall Police and Crime Commissioner, to address the housing needs of prisoner leavers. Julian House have been funded to provide supported accommodation for up to nine months across the peninsula for prison leavers with the most complex needs leaving Exeter Prison, and women from Devon and Cornwall leaving HMP Eastwood Park. The charity also provides support workers to address the needs of the individual to enable them to leave a crime-free life. Path has been funded to assist people in Plymouth who are at risk of being sent to prison on remand, or returning to prison in breach of their licence, because they have no accommodation. One client said that the Path scheme had helped him immensely. “You’ve been really helpful. I wouldn’t have a place without your help, I’d be homeless next month and then I’d be back in prison,” he said. Anyone wanting donate basic food, toiletries and clothes to the project can do so via the EDP charity at Beaufort House, 51 New North Road, EX44EP. Clothing required include men’s clothing such as tracksuits, jumpers, coats and jeans (all medium size). Bags, toothpaste, deodorant, water bottles and tinned food would also be gratefully accepted.